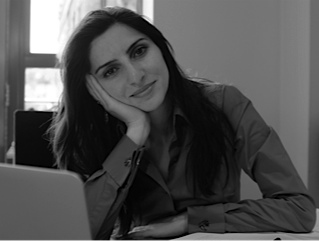 Dr. Narine Ghazaryan ist Dozentin an der Rechtsfakultät der Brunel University, London. Although discussions on justice in Europe are not new, ’justice deficit’ is not a term as familiar to wider audiences as ‘democratic deficit’. However, it has the potential to become a powerful catchword for all those disillusioned with the European project, or even for the ardent supporters of the idea of the European Union, who nevertheless cannot help but point out the failures of the EU when it comes to delivering justice to its citizens. Many involved in this debate have already indicated the abstract nature of the concept of justice, as well as various forms and meanings it can take. Due to the financial crisis, it is primarily the economic and social injustice that has become one of the key features of the political debate in the EU Member States with somewhat striking consequences. While in some countries, including Greece and Spain, this injustice steers the power left of the centre challenging the established political parties, while in others it allows the right wing nationalists to sway the mainstream political agenda to the right. In their quest for justice, citizens of the European Union are seeking solutions at national level foregoing all hope of change at the European level. A greater involvement for supranational institutions is seen as a potential way of addressing the adverse impact that European governance can have on the lives of ordinary citizens. Much has been said already about the creation of the Eurozone and its shortfalls. Now that the consequences of this venture are staring the EU in the face, the question of responsibility for the fate of EU citizens should be at the centre of the debate. A collective and long-lasting — European — solution must be found in offsetting the consequences of Eurozone crisis as far as EU citizens are concerned. All actors must play their role in this process recognising the political and historic significance of the moment. To follow Giuliano Amato’s lead, equality and solidarity are the two key issues that need to be at the centre of any efforts of finding a European solution to the economic and social injustice witnessed in many Member States today. Sadly, for many EU citizens equality and solidarity would not be notions they associate with the EU. The ideal of equality is far from the reality of divided societies in many Member States of the EU with variable gaps between rich and poor. The poor citizens of the EU Member States that implement harsh austerity reforms are also the poor citizens of the European Union. Equality, as established in Article 2 TEU, is one of the values with which the Union chooses to identify itself internally and externally. As an EU value, equality should not be limited to market freedoms, gender equality or equal pay, areas in which the EU has achieved substantive results. Amato advocates a‘minimum threshold’ of equality in social and health services. To take it further, falling below this threshold should be seen as threatening the human dignity of EU citizens. The Charter of Fundamental Rights recognises human dignity as inviolable, and it must be respected and protected. The application of the Charter is of courses limited to those actions of the Member States which implement EU law. Imposing austerity measures outside the legal and political framework of the EU silences the Charter in this important respect. However, not all austerity measures are left out of the EU framework. It is regrettable that the Court of Justice did not acknowledge the constitutional significance of the preliminary ruling referrals from Portugal in relation to national austerity measures alleged to have implemented EU law. The brevity of the Court’s reasoning in these cases demonstrates a certain lack of engagement which appears to be a conscious choice dictated by the political context. The lack of legal reasoning pointed out by Thym in this blog and others elsewhere is a striking and worrying feature of the Court’s new approach. This Court of Justice seems to be driven by a motivation that is different from that of the Court which delivered the judgement in Costa v Enel… An expectation of justice to be delivered in relation to austerity measures will not be extinguished easily. If not national measures, then the actions of European Union institutions will be questioned in view of the Charter. For instance, in its recently published Preliminary Report the Greek Debt Truth Committee raises the issue of non-compliance with their Charter obligations by the European Commission and the European Central Bank. It is not only the Court’s role here that is paramount. EU institutions and Member States should be proactive in ensuring this minimum level of equality through solidarity. The management of the Eurozone crisis failed to convey a message of collective responsibility for European people, whether of Greek, Spanish or Portuguese origin… Instead, it allowed the drawing of vacuous stereotypical lines not only between Member States but also between their populations, in the manner of sweeping generalisation. Even more disappointing is the framing of the debate across Europe in terms of national self-interest. Take the debates on the Greek crisis in the UK. Most of the political and media discussion evolves around the possible effects Greece’s exit from Eurozone might have on the UK and its interests… Deepening of the solidarity between the European peoples is one of the desires of the EU Member States expressed in the preamble of the TEU. Solidarity is one of the features that defines the European society in Article 2 TEU. This concept should therefore not be left as an empty shell devoid of practical significance for those citizens to whom it matters the most. Besides, equality and solidarity are two values that the European Union attempts to advocate to third countries as part of its foreign policy objectives. Surely, these values have to be upheld internally before preaching them to the rest of the world. These are ideals worth striving for. Some have questioned whether this is Europe’s federal moment. If so, then the moment should be capitalised upon by materialising the ideals enshrined in the European Union treaties.The European Union institutions and their Member States should not be complacent and should take notice of the debate on ‘justice deficit’ as it is here to stay for the foreseeable future. SUGGESTED CITATION Ghazaryan, Narine: A few more thoughts on equality and solidarity, VerfBlog, 2015/6/27, https://verfassungsblog.de/a-few-more-thoughts-on-equality-and-solidarity-2/.